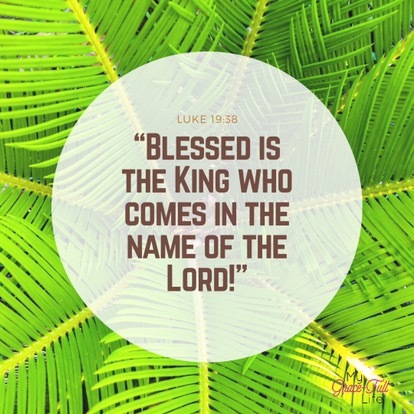 PRAYER PROMPT ••• Today is Palm Sunday and churches around the world are celebrating this annual event — a celebration of the day Jesus triumphantly rode into Jerusalem, before he was executed within the week, then rose from the dead three days later. If you’re familiar with the story, you know that Jesus rode in on an unbroken donkey’s colt. When the Lord asks something of you, what do you do? Today, pray that you will be as willing to give the Lord what He asks of you, as the owners of the colt were. Ask the Lord for the strength and courage to do anything and give anything He asks of you, with a joyful heart that doesn’t hesitate, but eagerly obeys His instructions.